The Buffalo Sabres have hired Phil Housley to serve as their new head coach, the team announced Thursday. The Sabres have been trying to overhaul the franchise and the hiring of Housley certainly fits the bill. 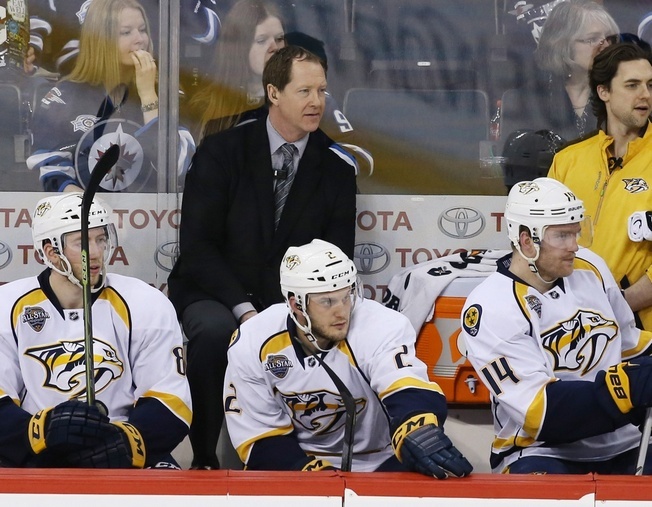 He replaces former coach Dan Bylsma, who was fired along with general manager Tim Murray in April. First-time general manager Jason Botterill took over last month and Housley is his first big hire. Buffalo has its work cut out. They missed the playoffs in 2016-2017, marking the sixth consecutive time they were on the outside looking in. They finished last in the Atlantic Division with a 33-37-12 record, two fewer wins than the previous season. Housley joins the Sabres after a four-year tenure as assistant coach of the Nashville Predators, so he’ll have to adjust accordingly. But he brought a culture of speed to the Music City defensive unit, something that proved instrumental over the course of their Cup run. Housley was drafted by the Sabres at sixth overall in the 1982 NHL Entry Draft. He spent his first eight seasons playing for Buffalo and eventually played with Botterill on the Calgary Flames, so history runs deep. Housley has some head coaching experience, having served as coach of the American team at the 2013 World Junior Championship. But despite the clarity of his task in Buffalo, it will take some doing. Housley will have to craft the right environment for the Sabres’ young players, especially Jack Eichel, and will look to bridge gaps between players and coaching staff. And if his tenure in Nashville is any indication, look for Buffalo to activate the defence a whole lot more.